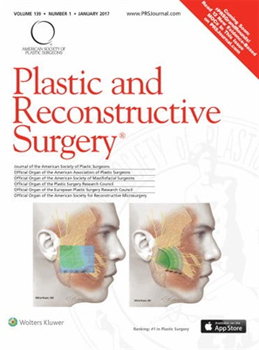 A highly informative article on liposuction techniques and associated considerations was published in the January 2017 Volume 139, Number 1 issue of Plastic and Reconstruction Surgery – Journal of the American Society of Plastic Surgeons. The team of writers include Dr. Spero Theodorou and Dr. Christopher Chia, plastic surgeons at bodySCULPT®, a leading plastic surgery practice in NYC. The article discusses the current trends with regard to energy-assisted liposuction and body contouring local anesthesia use with specific emphasis on preoperative assessment, medicines used, operative technique, and outcomes. A systematic review of the relevant literature on patient workup, medication overview, surgical technique and tumescent fluid techniques has been done with a practical approach that the reader may find clinically applicable. Operative considerations for lipo are discussed such as operative techniques and type of cannulas including blunt-tip cannulas to minimize perforation risk, cannulas with greater suction-tubing diameter, and smaller suction-tubing length to provide for better aspiration and more. The other topics highlighted include existing anesthetic (wetting solution) options – dry, wet, superwet and tumescent; and the medications used in wetting solutions. A comprehensive analysis is done about the lipo procedure, right from assessing patient medical history, performing physical examination, and operative considerations, to systemic complications, fluid management, post-operative care and more. Plastic surgeons can use the data in the article to precisely calculate the patient limits of lidocaine for safe dosing during the tumescent infiltration phase of liposuction. They can also determine preoperatively, possible “red flags” or symptoms and signs in the patient history and physical examination that signify an increased risk profile for a liposuction procedure. This well-researched article is particularly significant in the present times when there is increasing interest in maintaining a good body profile so that the body becomes an ideal vehicle to express one’s individuality. It is an excellent resource for plastic surgeons looking for information on diverse liposuction techniques, patient considerations, risks involved and other details about this highly popular cosmetic surgery procedure.